Advanced Orthopedics and Sports Medicine Institute came to Aquarius to help redesign their entire marketing presence. We updated their logo and all marketing materials as well as took their old stale website and transformed it into an interactive website that their current and new patients would enjoy visiting. 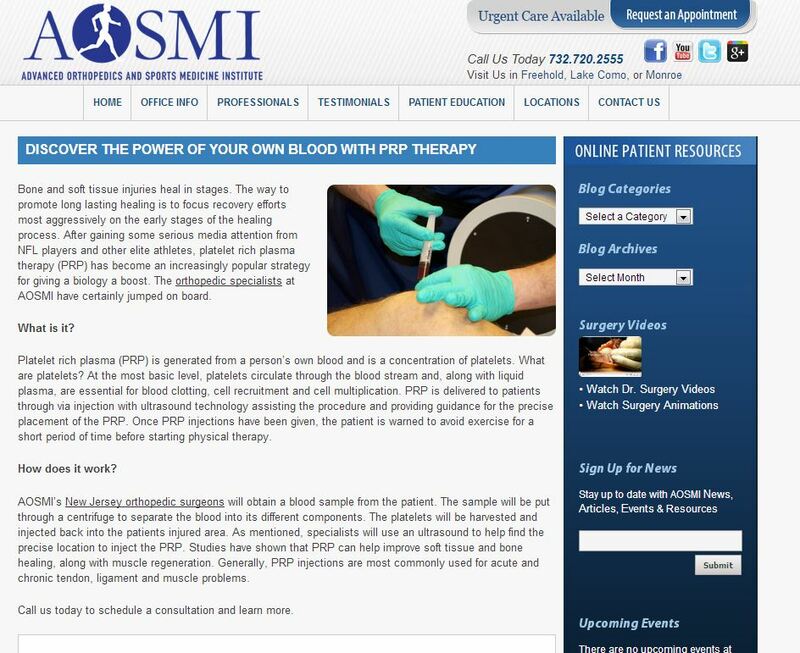 We worked closely with all 10 doctors in the office and rewrote all the medical content on the site. 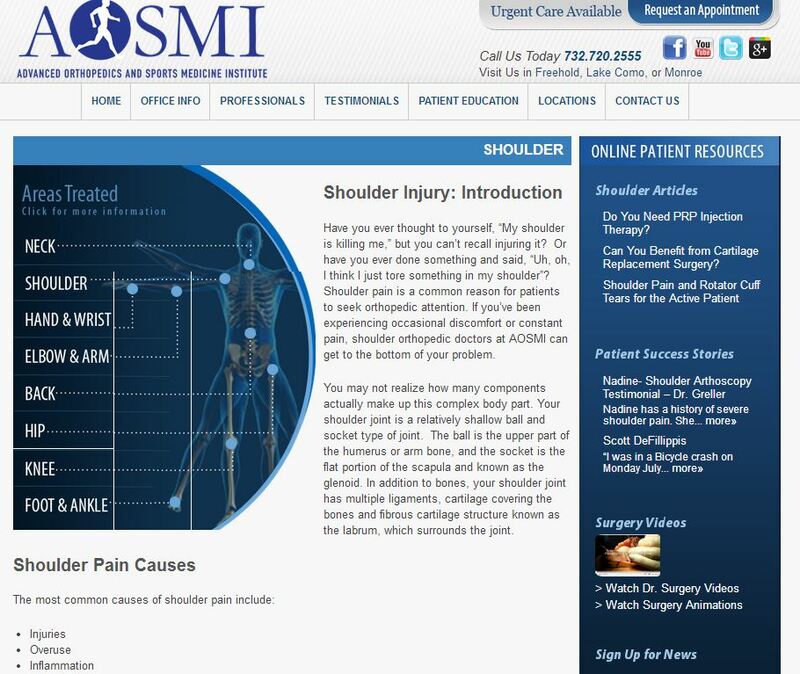 There so much information for patients to learn about services, treatments and procedures that AOSMI offers. 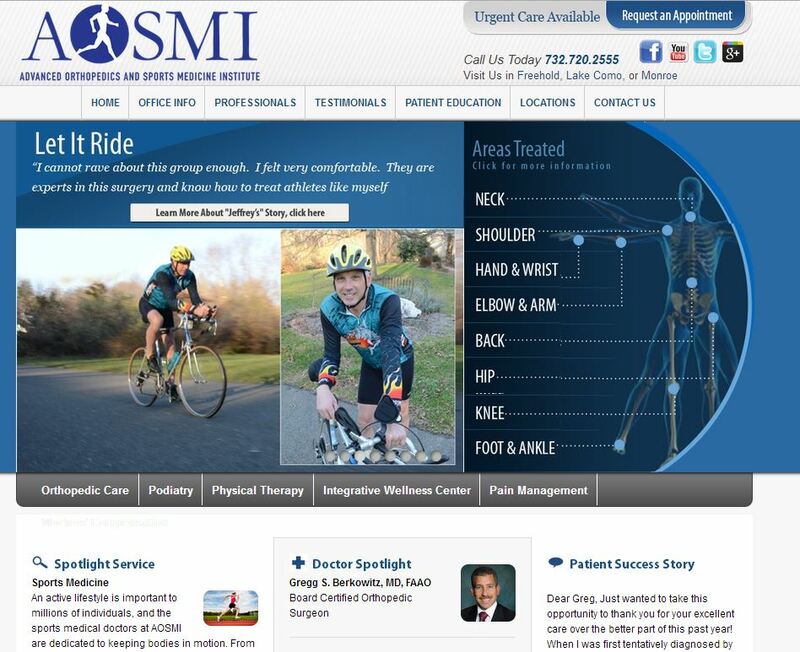 In doing this we helped to increase AOSMI’s online visibility.